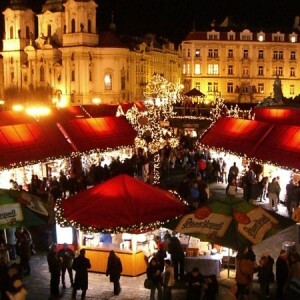 In London, as in many European cities, every year respect the tradition of the Christmas markets. From November 23 to January 6, for example, will open in 2012 as in previous years Winter Wonderland in Hyde Park, where other a market for Christmas shopping there will also be an amusement park, an ice skating rink, a circus and a Bavarian village. New compared to other years and is dedicated to the sculptures of ice, with about 500 blocks of ice carved. The park is open from 10 to 22. From 16 November to 24 December, however, will be open on Christmas Market of Southbank Centre, arts center located on the south bank of the Thames, where you can find gourmet food and a wide range of handmade gifts. The market will be open from Monday to Friday from 11 to 22, and Saturday and Sunday from 10 to 22. Toys, food, jewelry, ceramics, sweets and clothes are the products of the Christmas Fair of Chelsea Physic Garden which will take place on 1 and 2 December. The Christmas Fair will be held in large heated tents and breakfasts, lunches, Christmas cakes and hot drinks will be provided by Cafe Tangerine Dream. Volunteer guides will be available on both days for guided tours. The market is open from 10 am to 4 and includes an entrance ticket.